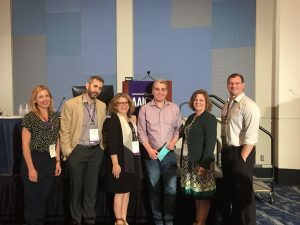 On July 22-26, over 5,000 researchers from over 70 countries have gathered in Chicago for the world's largest dementia-related meeting, the 2018 Alzheimer's Association International Conference. 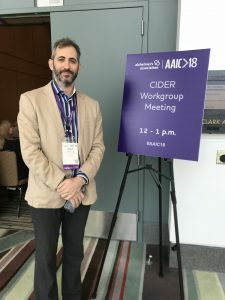 Members of the CIDER working party were pleased to share CogTale for the first time with some of our colleagues from around the world and present both a poster and a small workshop to showcase the many features that this exciting platform includes. CogTale co-founder A/Prof Benjamin Hampstead introduced the session and gave some background on the activities of the CIDER working group to date before introducing Dr Alex Bahar-Fuchs who conducted the 1-hour workshop. Feedback from participants was overall very encouraging and will help further develop the CogTale platform in coming months. We hope to run a webinar on the use of CogTale around October, so stay tuned for more details soon!